Portable flat-pack Gate Frames and Tops. With your choice of 300, 600 & 900 high frames. Steps, balustrades, skirts, chair-rails are among available accessories. 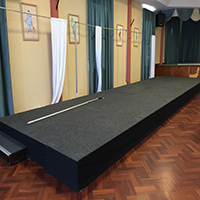 Using a floor standing frame system and professional theatre quality black wool drapes. A quick, easy system for stage backing, masking, temporary changing areas etc. 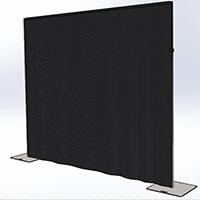 Up to 4m x 4m (height x width) per bay. 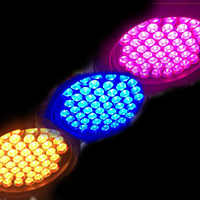 Providing events and functions with portable, easy to set up, colourful LED Lighting is a specialty. Accessories include DMX controllers, push-up and winch-up floor stands. Truss support systems, and all cable requirements. 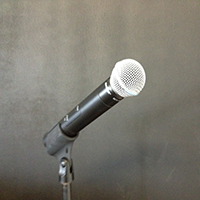 Our Hire Department caters for the small to medium event PA requirements, focusing on portable, easy to set up systems with wireless microphones and powered speakers.